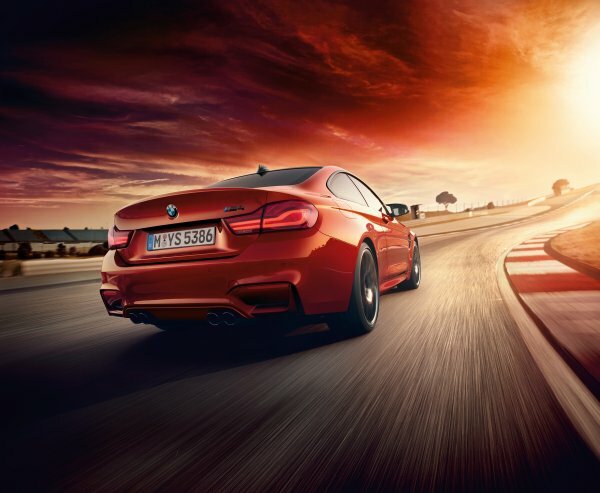 Ground Control to Major Fun; courtesy of BMW Group PressClub. 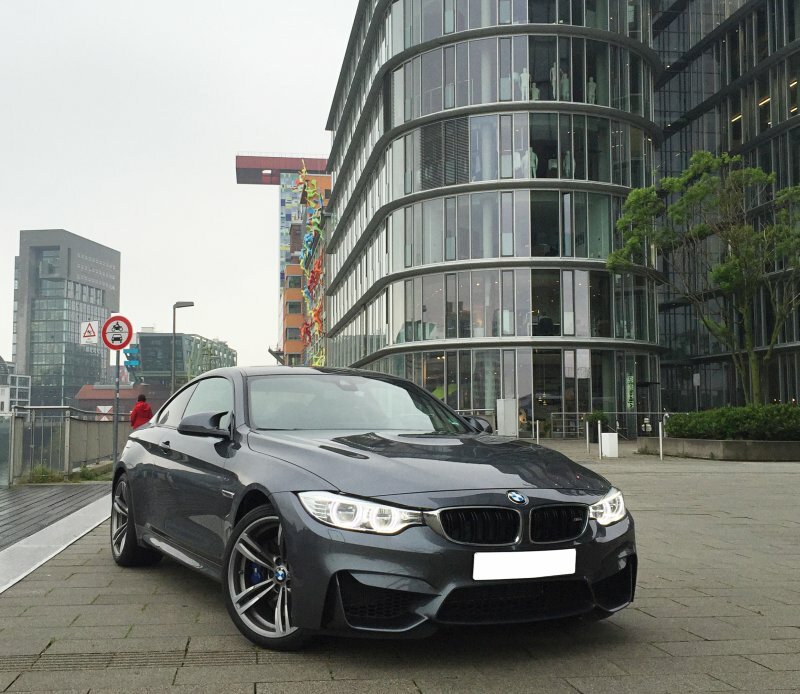 BMW M4 is a EUR75,000 car in Germany, affordable if not quite middle class. It is the two-door even-number coupe version of the venerable 3-series, which we recently also had the pleasure of driving, the most rad 330d with a superb 3.0-liter diesel, 263 HP and 560 Nm of torque. Apart from the shortage of doors, the other obvious visual differences from the standard sedan come in the form of slightly bigger and fatter wheels, extra exhaust pipes, and an engine hood bump. Other than that, the understated looks abide. But more about the visual side of things later. Let's go back to that engine hood. 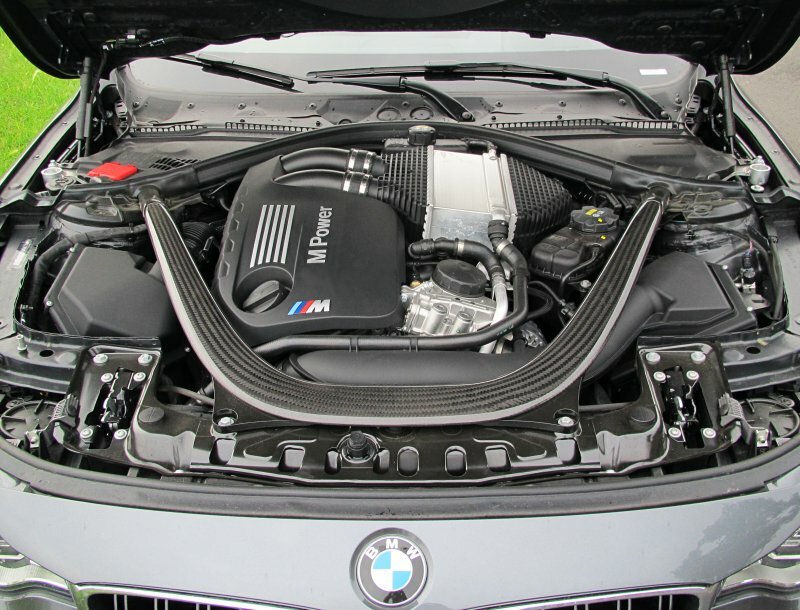 Underneath lurks a 3.0-liter petrol unit, beefed up with turbos, a sacrilege if you ask the M veterans. Olden M-series cars used to have V8 engines, all atmospheric, so purists may clamor and protest. However, modern technology has its perks, which include a bit more energy and a lot more torquenergy. 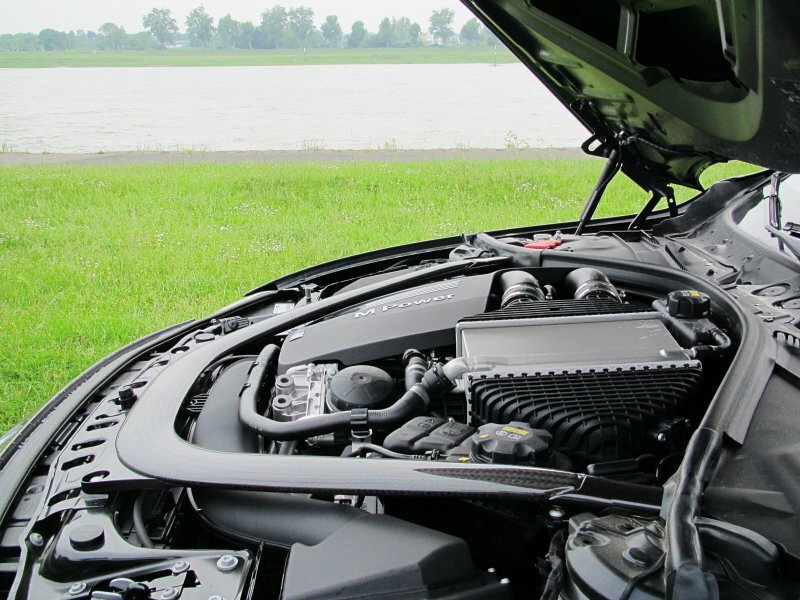 The old S65 engine displaced 414 HP and only 400 Nm of torque. Thus, the new M4 has almost 40% more twang, and this from low revs, too. Should be interesting. Mind, all of it goes to the rear wheels proper, no all-wheel fun like the 330d. 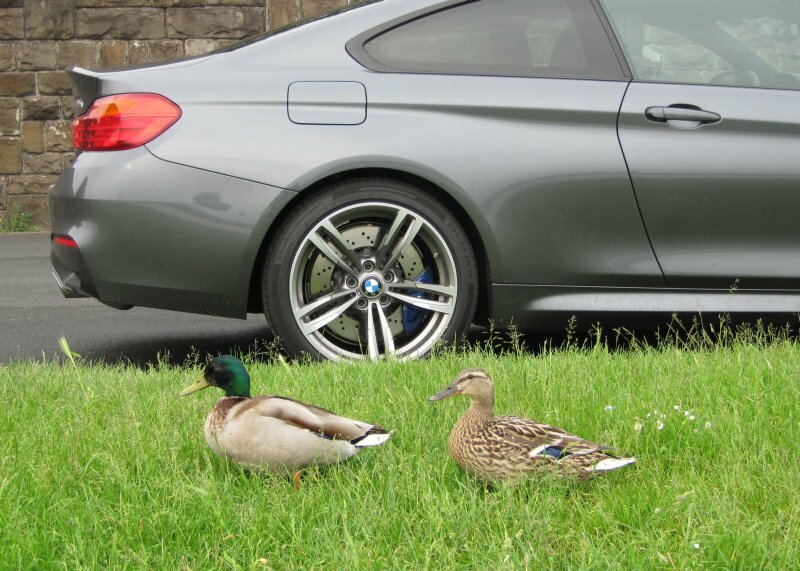 the bimmer are their names. The artist is strong in this one. M Power! My test example was also equipped with the 7-speed DCT box, which features two clutches for faster changes. Contrast this with the 8-speed auto in the 330d. Manual is also an option, so if you feel like burning rubber you can, but not so in this particular model. All in all, I was happy with the setup, both as having almost half a thousand of horses on your back axle can be conceptually intimidating plus the fact I had been most thoroughly pleased with how BMW does the auto in the 330d but also the X3, which I tested a while back. You know what I just realized? All my BMW tests are exclusively limited to 3.0-liter models for some odd karmic reason. 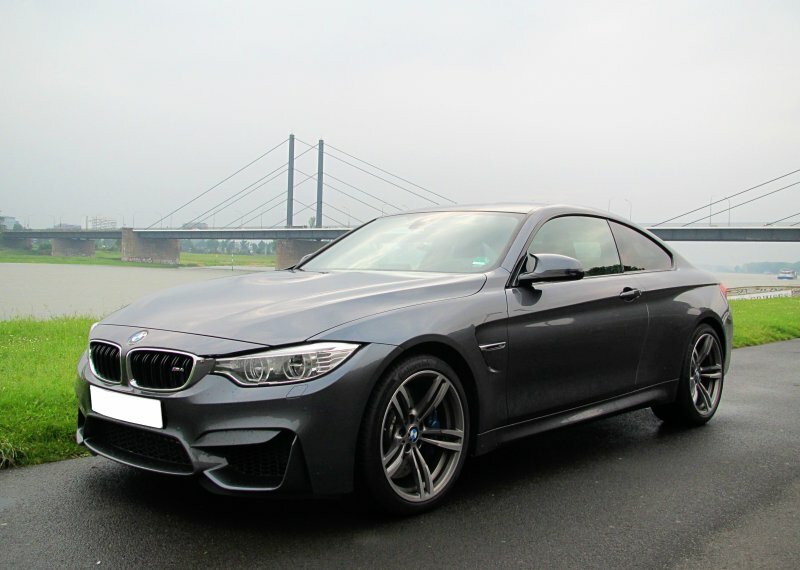 BMW M4 is a very beautiful car. The lines, the angles, everything is just right. Even the bonnet bulge is perfectly suited for the purpose, and the air vents behind the front wheel arches also add dynamic drama to the vehicle's appearance. 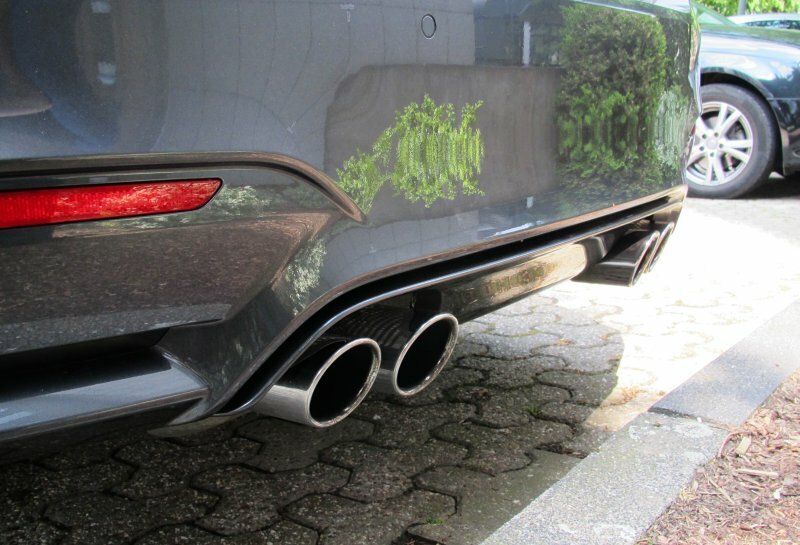 At the back, the quad exhaust pipes look magical, and they are probably the only thing that makes the M4 stand out as a performance item rather than just the run-of-the-mill coupe. But there's charm in not trying to make an impression. The effortless effort speaks for itself. Understated, calm looks of a posh coupe. Take my breath away ... Berlin, I mean Dusseldorf. Which one, you think, is faster? The tires are big and wide, as they should be. At the rear axle, they cover 275 mm of tread each, and I wouldn't expect anything less for so many horses and torques. 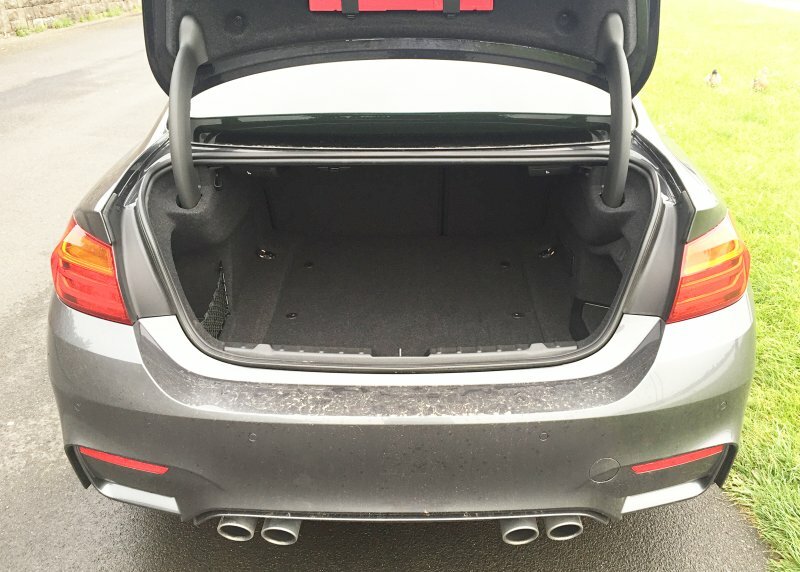 Even the family-friendly 330d has a solid 255 track back end. My test car was equipped with ContiSportContact 19-inchers, meaning 255/35 R 19 front and 275/35 R19 back. Blimey. Blue calipers means confident speedology. 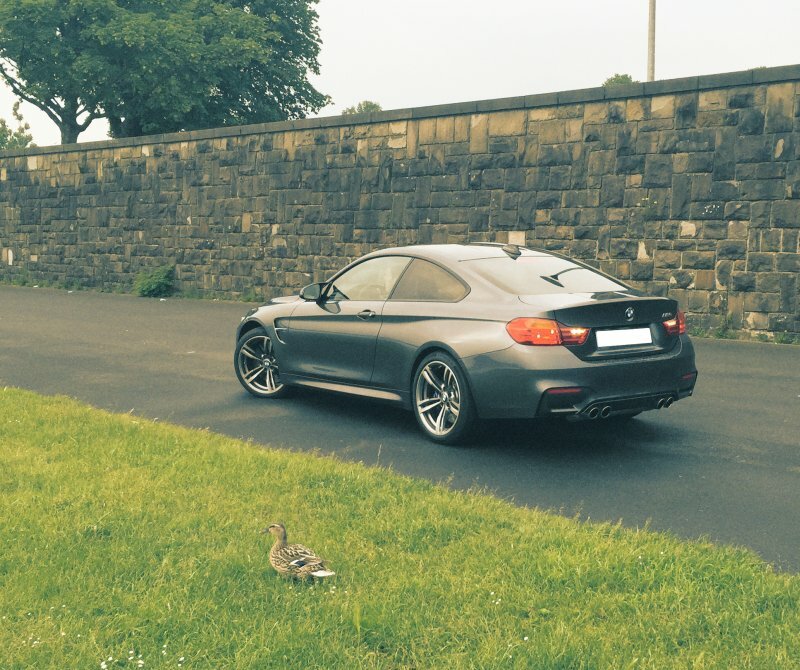 Even duckses love the M4! Pretty, functional, familiar BMW stuff. Impeccable quality and ergonomics, a supple steering wheel surrounded by analog instruments and the excellent iDrive infotainment to the right. It also has two buttons, M1 and M2, which you can use to set your own individual driving mode settings. 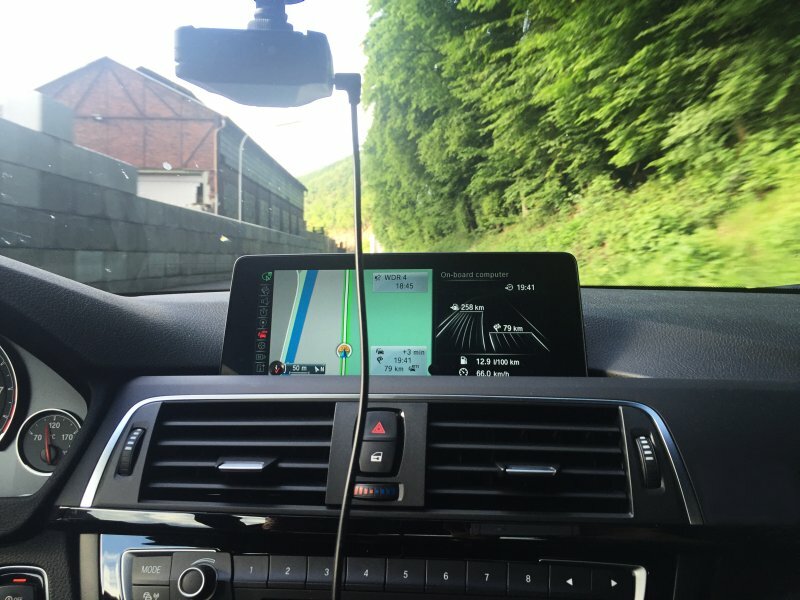 The satnav is gorgeous and precise, and it took me and my copilot to Spa and back and across Germany without a single moment of hesitation, with live traffic updates and all. 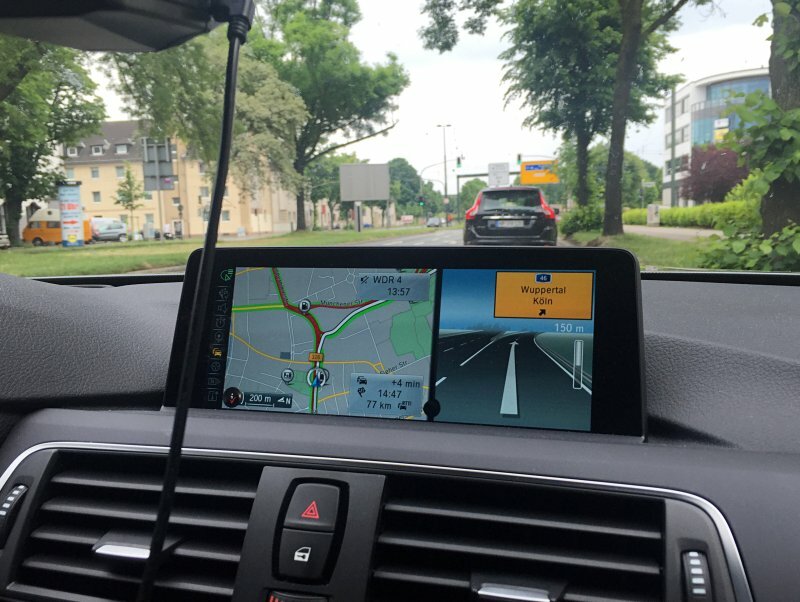 Everything I showed you in the BMW 330d review is there. Very similar to 330d; simple, elegant and utterly right. You get a round wheel and a small joystick. 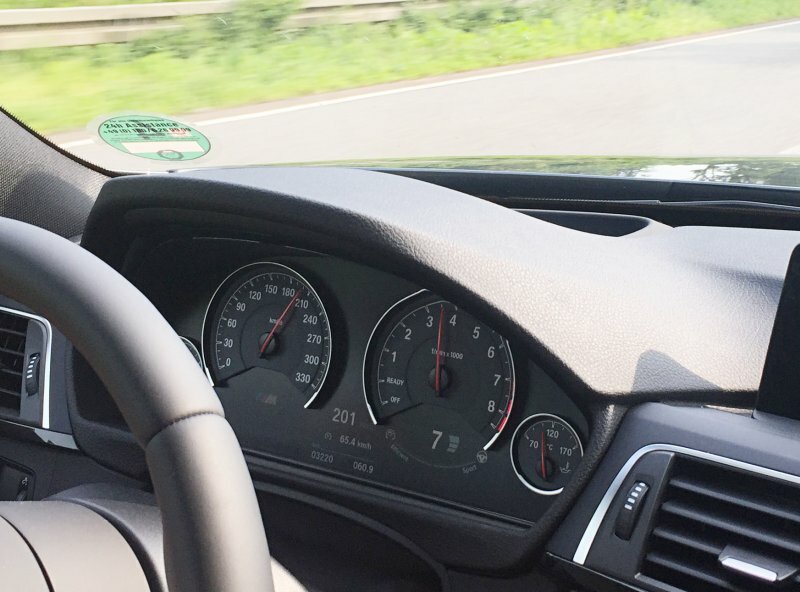 The car is limited to 250 km/h, so 330 mark is there to make you happy. The seats are just awesome. They grip and hug and love you, and they come with backlit logos that make everything that much cooler. The front row is ample and cozy. In the back, there's less of everything, including space, comfort and natural lighting, and while you can, you should avoid putting tall or fat adults in there for any prolonged period of time. The sloping roof also limits visibility, but there's a lot of room in the boot. This is still a big car, but it's best used in the 2+2 configuration, or preferably, just the DINK mode. The logo glows in the dark. Hither goeth thy shi ... stuff. Decent size, but of secondary consideration for when buying the M4. The one negative comment is - the interior looks decidedly understated. The all black-gray color theme is a little boring, and while this has always been the case with every Bimmer, a bit of color wouldn't go unnoticed. 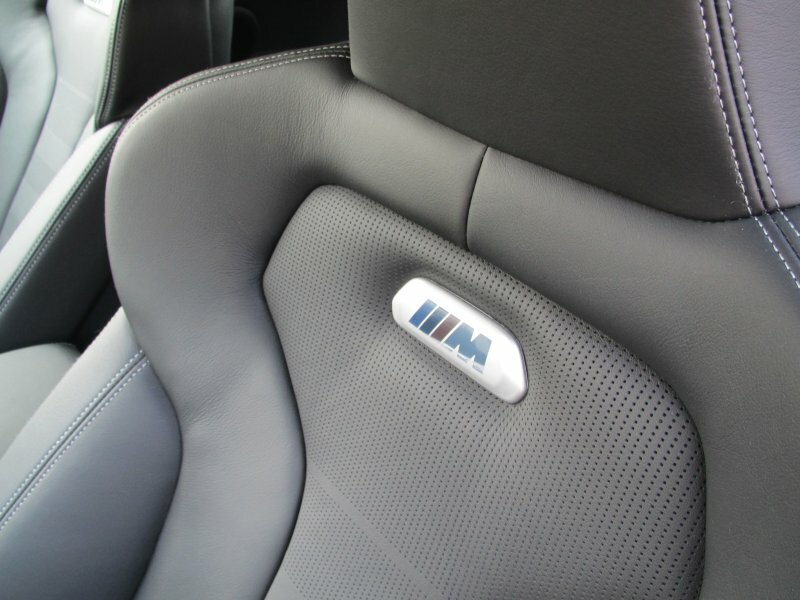 Even some optional M trim, just to spice it up. If you casually glance on the inside, there's little to tell a conventional 420d and this fine M4 apart, except the smaller, cozier gear lever. But that is where the differences end. The hand brake is a simple thing, bless it. You will also probably like the HUD - which is projected onto the windscreen. 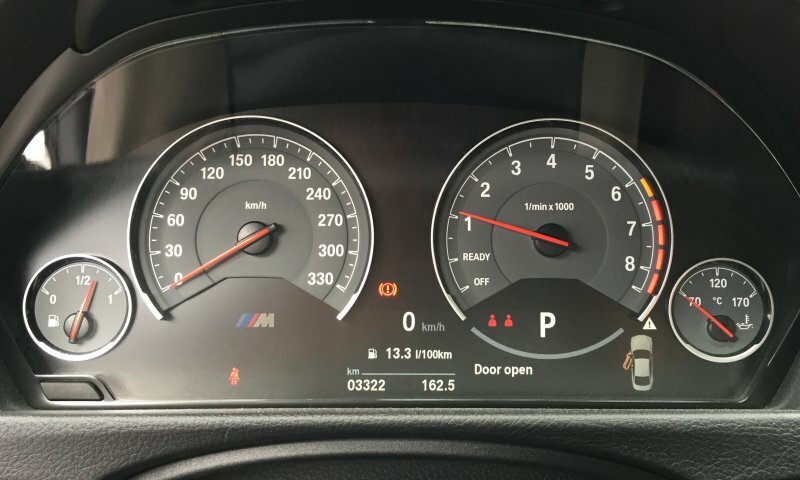 It provides you with some really important information, including your current speed, the speed limit - tied into the navigation system - and the navigational instructions, mostly in the form of arrows and symbols. Quite useful when you're breezing at high speeds, and taking eyes off the roads means hundreds of meters of traffic lost. The one downside is that the display isn't always visible, especially if the windscreen is dirty, which can happen when you bludgeons flies and mosquitoes at 200 km/h, or if there's a lot of sunlight glare from the front. Sitting higher up may also obstruct the view. Still, it's a cool thing, if not quite perfect. Spotless navigation + infotainment. 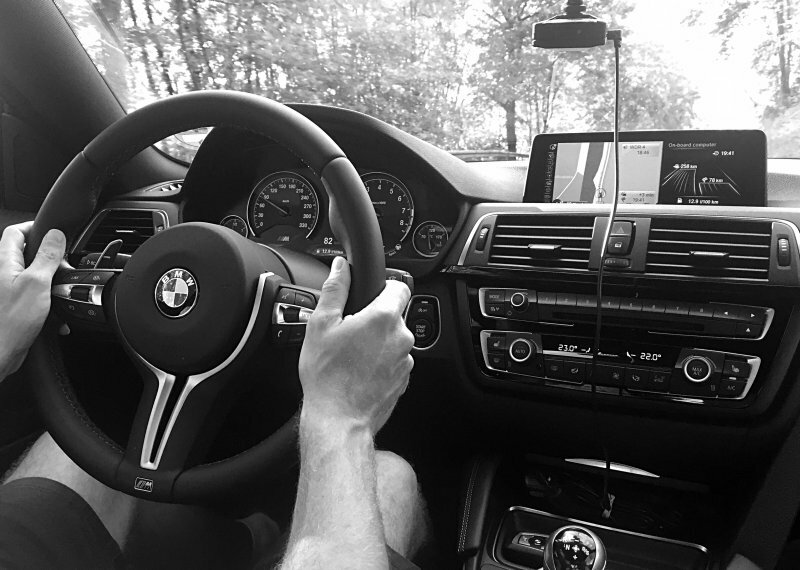 Nothing beats the iDrive. The driving experience? Well, in one word, sensational. In two words, bloody sensational. 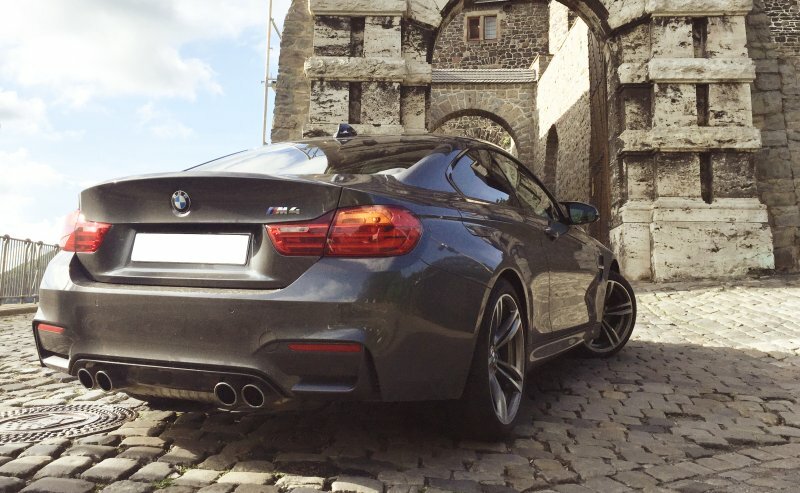 The M4 is an exquisite specimen of high performance, and it shows everywhere. But let us start humbly, by pulling out of a parking spot. To wit, chosen settings: SPORT mode and S3 drive logic. More details on this in a jiffy. Getting underway isn't quite as soft as in a typical car, especially if the engine is cold. There's a wee bit of shuddering, and maybe even clutch slipping, because this BMW does not like soft and gentle. However, it settles in once you build a little bit of oil warmth and speed. That is not to say that the M4 is not civil. Compared to the 330d, the default suspension and the steering are about 20% stiffer than what you get in the sedan in the SPORT mode. 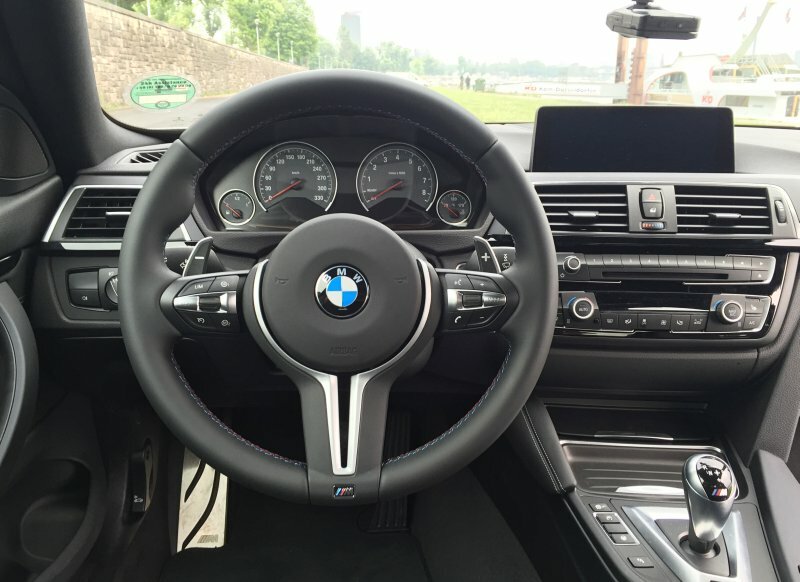 The most noticeable difference is in how the steering wheel feels. It is heavier but also more precise. However, if you don't feel like going wild, it drives like a perfectly sane everyday car. I had no trouble maneuvering through a dozen German and Belgian cities. Even at low speeds. Warming up for the autobahn run (AKA The Cannonball Run). You can pimp up the stiffness, and even turn the Launch Control off, but this is something that I have not tested in this review. This requires turning DSC off, moving the gear level into the manual mode, depressing the throttle below the kickdown point, and the Launch Control will be active now. Too much hassle if you ask me. However, I did set the DriveLogic button to the higher setting (three bars) most of the time, and this means fast, instant, aggressive gear changes and throttle response, which include redlining in the manual mode, blipping, plus some bucking on upshifts. Brutal and yet serene at the same time. 200km/h mark crossed, check. Life mission accomplished ... again. I was a little conscious at first, thinking the car might want to bite sideways, but over time, I learned what its limits are, and it's a perfectly safe vehicle. If you don't disengage the traction control, it might edge and fret under full throttle, but nothing too sinister. As I mentioned before, video footage of all this fun coming soon. 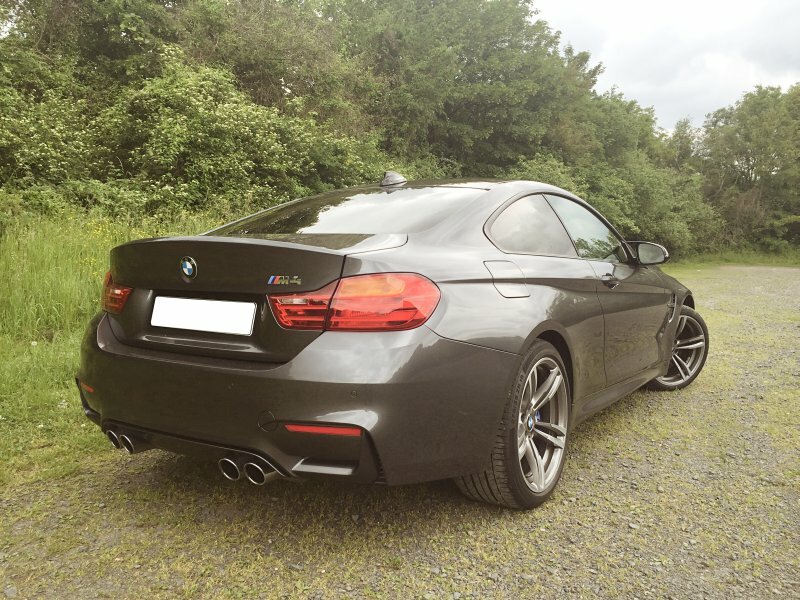 On the motorway, BMW M4 spreads its wings like a majestic falcon. You really get a chance to enjoy the engine, the beautiful rattly noise from the exhaust, the supple, firm and precise ride, the linear acceleration that does not taper off even when you go past 200 km/h. Simply joyful to the max. Up changes come with a light kick, making it all the more engaging, while rapid deceleration brings out forlorn resonance harmonics from the 3.0-liter beast, protesting when the party ends too soon. The M4 is fun either in the auto mode or would-be manual, however you choose to drive it. The steering wheel paddles are comfy and delightful. 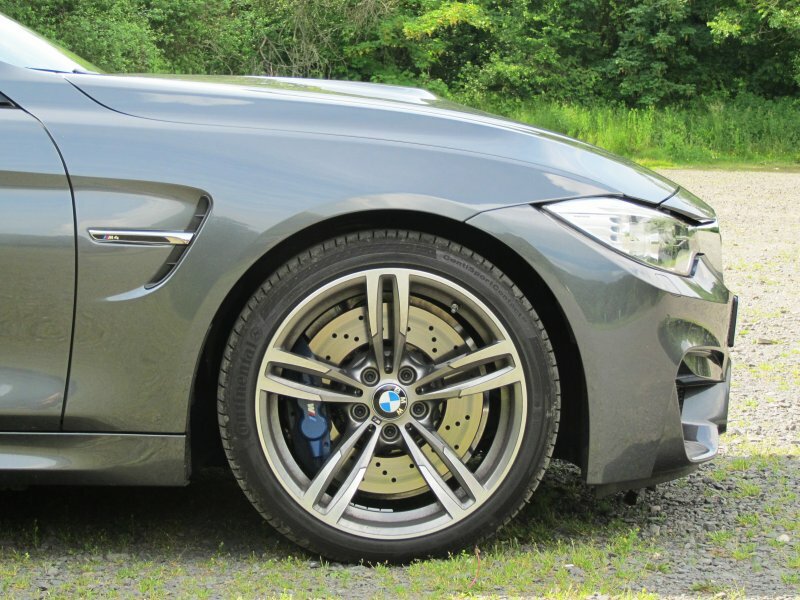 M4 brakes with confidence, which I had to test and prove on more than one occasion. Once, a slow SUV, with a roof load no less, decided to pull out into my lane at about 120 km/h with me charging in at about 220 km/h, and another time, a naughty Audi merged at 140 km/h, with roughly 80-90 km/h velocity difference between our two cars, in my favor that is. Both times the M4 slowed down without any great fuss. You might wonder what it feels like to brake hard at that kind of speed. Nothing spectacular. The car is stable, solid, and it didn't waver or jiggle. Video evidence to follow. Casual wrist bands from a recent stint at Spa - not in the M4 though; a whole set of articles and videos coming soon. Notice the HUD; notice the displayed road sign; notice the speed. Another cool thing about M4 is - it draws attention. 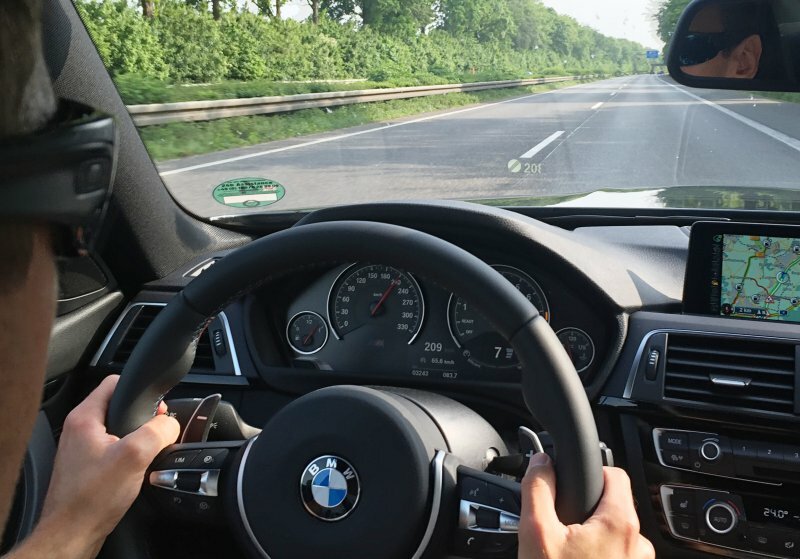 I had more smiles and thumbs up than in any other car I've ever driven, and quite a few autobahn drivers were pleased with the way I conducted, including the polite left indicator sign to the cars ahead to merge right, responsible overtakes and whatnot. While it's no Lambo or Ferrari, it still has a respectable place in the hearts and minds of car enthusiasts, and it feels perversely good to know that other people give you extra credit for no other reason than the image and the price. Must be an ingrained sense of class from days past in every one of us. Country roads leading to medieval Germanic castles and the Belgian out-urbia gave me no trouble either. The M4 handled the challenges without any problems, and never did I feel like it was trying to do me in. The car never made me feel that it's wild, unbridled and out of control. Even when I floored it, all I got was predictable acceleration and speed, plus tons of sweet aurals. Nothing else. This is a car that you can live with easily, comfortably. Fun wherever you choose to go. League after league of splendid joy. Even though it's a big, heavy car, it feels taut and tight and sharp, and the steering wheel gives you a lot of feedback. Just press the throttle, and it goes. Press the left pedal, and the blue-colored compound brake calipers will do their job of stopping the car. Imagine the carbon units, then. The chassis never rolled or felt like it was straining under its own weight or lateral forces, the grip and the handling are phenomenal, and the seats are comfortable and snug. Straight-line speed is awesome. It clears the first 100 km/h in just 4.1 seconds, and goes to 200 km/h in about 12.9 seconds. Just splendid. Mid-range torque is always there, and you never feel out of breath. The engine is also flexible. The seventh kicks in at around 80-90 km/h, and keep pulling endlessly. The car never loses composure, and even at 200+ km/h, it's rock solid. 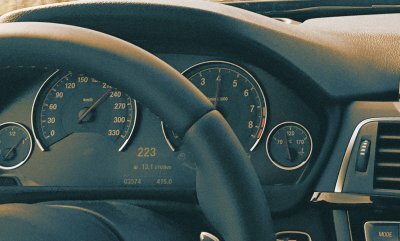 Of course, the world around accelerates once you hit the 200 km/h mark, and at this point, you really need to open up the distance from other cars. 300-400 meters for comfortable sailing, and you responsibly, gently take your foot off the throttle when you breeze past the traffic, then apply force again and enjoy raucous growl plus heap loads of speed when it's clear again. Sensational. And never gets boring. The one downside of so much power - and speed - is the fuel consumption. Not as bad as you might imagine, but it was still fairly gluttonous, although my results were nowhere near as bad as the owner's. I don't know why, somehow I always manage to be more frugal than most other people. I maintained a steady 180-220 km/h quite a bit during my trip, with other long stretches at 150-180 km/h. I wasn't too gentle with the acceleration, and I used the paddles about 50% of time time, letting the auto handle the rest. The damage was about 11 liters/100 km, which isn't such a lousy result for 425 HP. I had a thirstier car in the form of old Ford Mondeo than this. Now, I have much more to say, but we have the Eurotrip article and the video clips for that, so with that, I shall move on to the next section. There were none really. Nothing that I spotted in the time I had the car. But then I already found some answers to common BMW foibles after my 330d test. It turns out the far-side mirror will dip only if the electric adjuster button is set to the driver's side. Likewise, the aircon will adapt to your usage and change the blower direction and temperature accordingly. 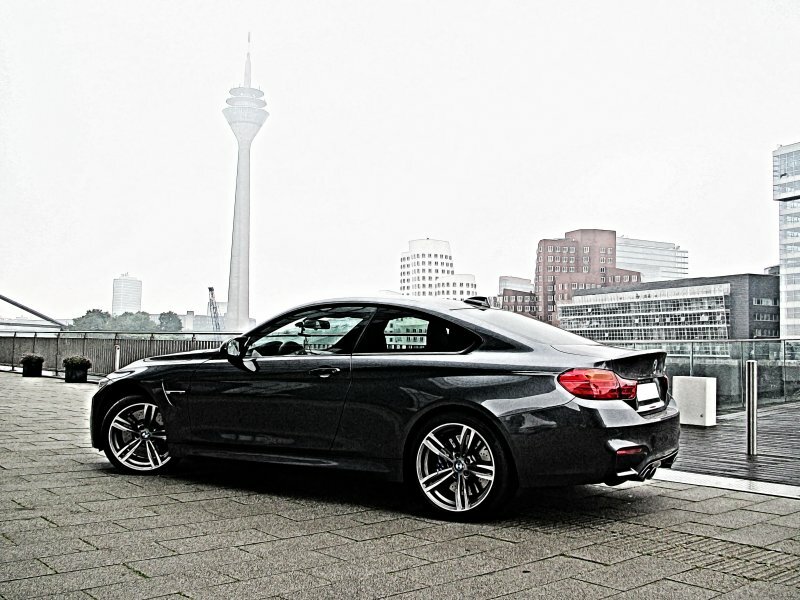 So, the M4 is a car that delivers stunning handling and performance for three quarters of the 100,000 Euro mark. 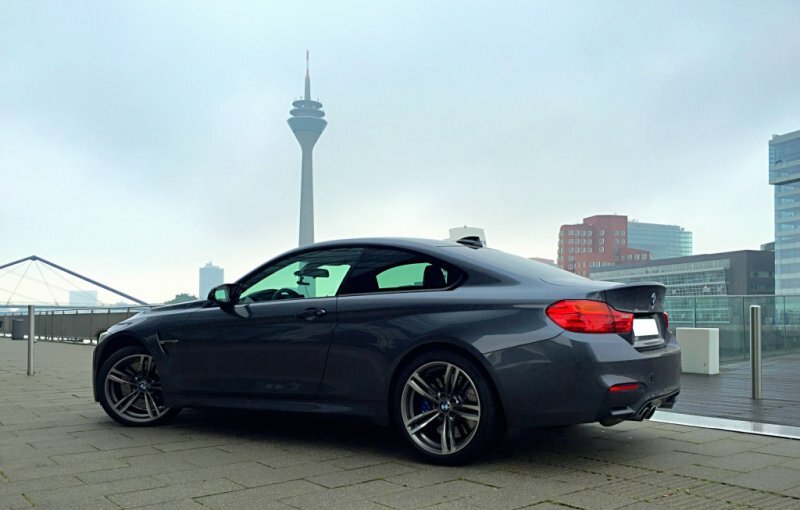 The 330d xDrive costs about 50,000 Euros. This means that for a difference of about 25K of EU money, you get an extra second off the 0-100 km/h (4.1 versus 5.3), a good 9 seconds off the 0-200 km/h, which is only attainable in Germany, the same level of comfort and equipment, very similar handling with the 330d in Sport mode, and your fuel consumption also goes up by roughly 50%. Mid-range pull is quite similar, with the 8-speed auto coping well against the 7-speed DCT. I know I'm comparing limo to coupe, but for the sake of the argument, it's the same thing. So should you buy the M4 - or for that matter, the M3? Yes, iconic and all that. But then, you can also have a luxurious saloon, with room to spare, incredible performance, flexibility and mid-range power from a frugal diesel engine, much lower day-to-day usage cost, and the safety and abandon of the four-wheel drive. All of this for the price of an average family car less. 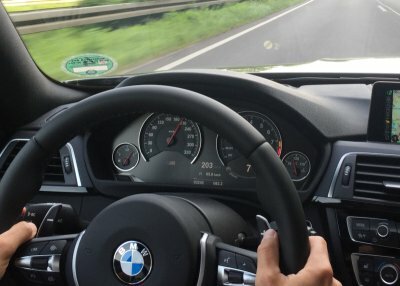 In the end, it comes down to a bit more sharpness in the steering wheel and the suspension, better noise, one second off the 0-100 km/h mark, and about three seconds difference to reach the legal speed limit of 130 km/h in pretty much every civilized country. Are you willing to pay 25K for the significance of prestige embedded in the badge? That's a really good question. While you ponder the dilemma, why not enjoy a few more lovely photos of this great car? All in all it's just another duck near the wall. Glass, steel and a random Porsche in the background. As you can imagine, I'm showing off now. And failing with my GIMP skills. I really have nothing bad to say about this car. 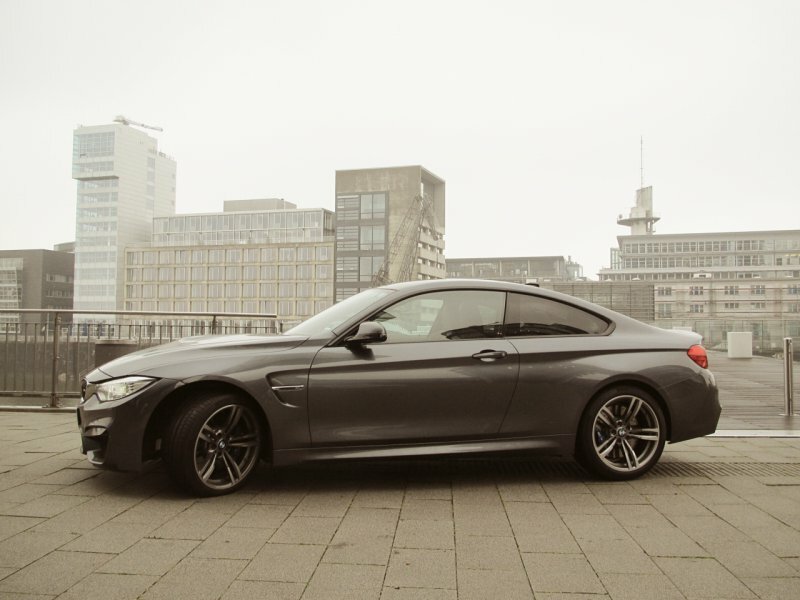 BMW M4 is a magnificent piece of German engineering. It is beautiful, stylish, comfortable, powerful, precise, and safe. It's fast and yet relatively frugal, and it does its thing without sacrificing on the finer side of driving. 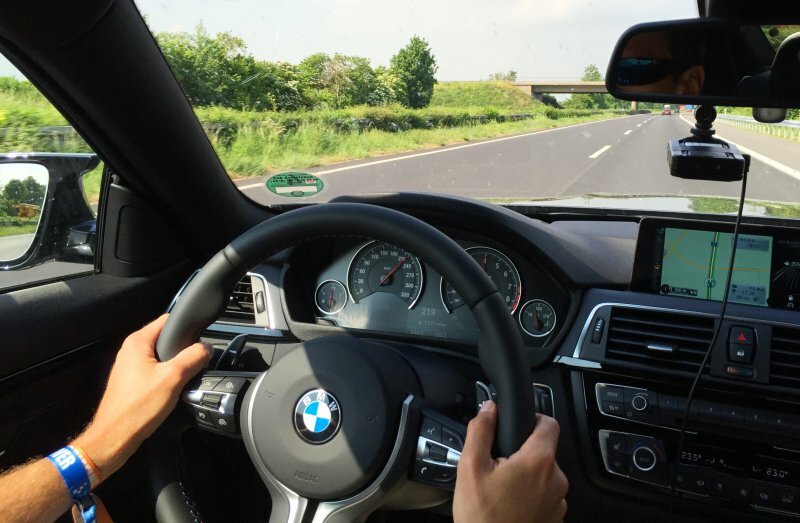 You still have the best infotainment system available - do note I might be biased as I am a BMW shareholder in my spare personal time, and this review has nothing to do with me owning some stocks - and leather everywhere, and you can sedately cruise about without fearing for your life. This car is not trying to kill you, it's working with you, helping you maintain a smile on your face. Everything worked, everything was clockwork, and repeating myself in fresh new superlatives would be pointless. Just one thing, though. 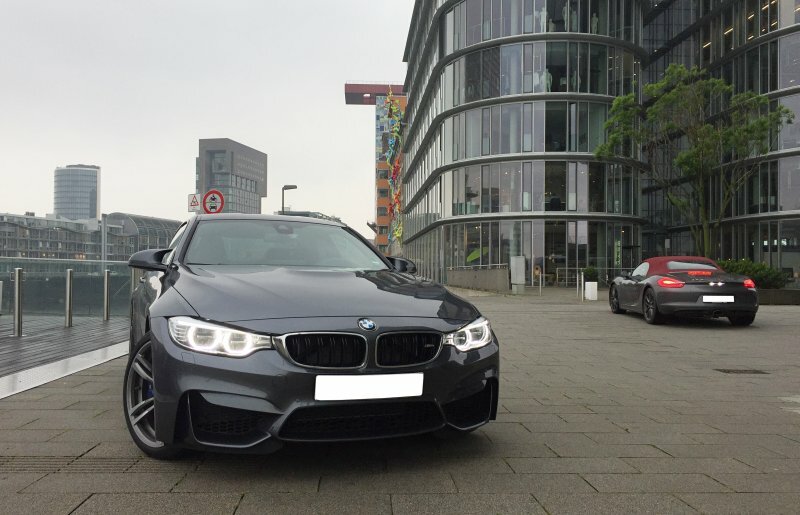 There is magic in the M family line, don't get me wrong, and I like the two-door M4 better than I like the M3. But would I like it as my everyday car more than say a 330d? That's a tricky one. One of the really great things about the diesel was, I could floor it like mad, and it would just roll with a humble grunt and much rapidness. The M4 is more brutal, more visceral. Safe and yet, you cannot afford to mash it down without being ever so slightly conscious of the raw power you have behind you. Slideouts are not something you should ever do unless you're a professional, and the lack of all-wheel traction could precipitate such an eventuality in the M4 one day. This is not likely to happen to you in an xDrive-powered BMW. So the carelessness with which you can exercise the sheer amount of torque and horses you have at your disposal also plays a big part. And if you ease off from the very edge of the performance envelope, the two aren't that far apart, and cruising on the motorway is a delightful, silky experience either way. The interior is identical, the purity of driving is identical, and the price and fuel gap nag like an old blister. Regardless, I have immensely enjoyed my encounter with this sport car. It was everything I could have hoped for, and then some. 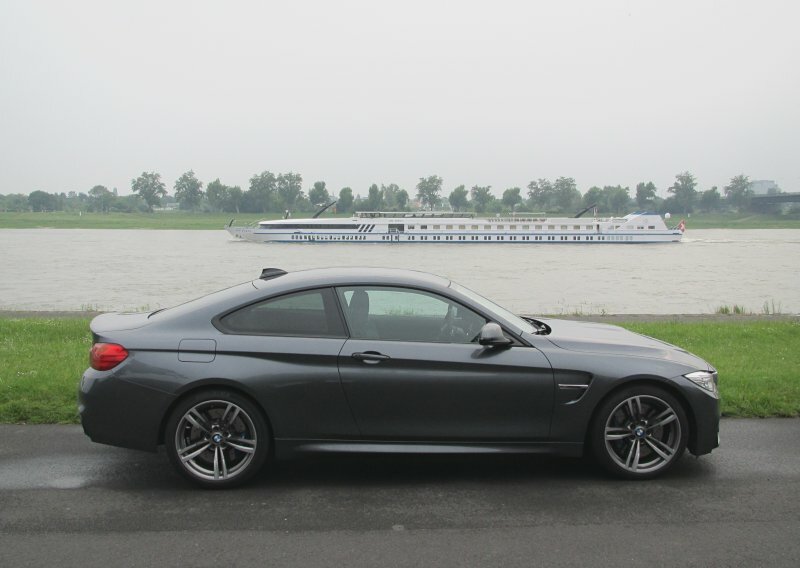 BMW M4 is a 10/10 car in every regard, and it's a wonderful box of machinery and art welded together. You can drive it like a champ or a normal person, and it will gladly accommodate your needs. It's incredibly composed at low speed, high speed, insane speed, in town, country and on the glorious autobahns. In a way, it's the ultimate everyday thing, because it lets you have luxury and performance without sacrificing one or the other, and there are few other cars that give you that. But then, you remember the sweet 3.0-liter diesels, and the sweet game of sweet doubt begins anew. Let it not distract you too much from the joy. M4 is just legendary. 10/10. Stay tuned for follow-up articles and videos. See you soon.